Here are five ways to encourage your children to connect with their grandparents, regardless of how near or far they live. Although babysitting grandchildren is a good way to spend time together, it is also important for children spend time with their grandparents on other occasions. For grandparents who live close by, set up a regular time each week or month for your children to spend time with them. This establishes a relationship and memories outside of you and other siblings. The date can be for a few hours after school or for a sleepover on the weekend. By setting a regular schedule, this special time together is less likely to be overlooked. If your child’s grandparents live long distance, try to set up a date for your child to spend time alone with his grandparent during visits. If you have teenagers, think about how your child likes to communicate with his friends. Encourage your child to communicate with his grandparents using text or instant messaging. If necessary, show grandpa how to send a text or set up a chat. By using your child’s favorite technology, she will be more likely to share things in a spontaneous way and enjoy talking with her grandparents. If they choose to invest in a phone, they can take advantage of free classes on how to use it. For grandparents who live long distance, consider setting up a webcam so that your child can have a video conference with their grandparents. Both you and your child’s grandparent will need a basic webcam ($30 to $40 from a local electronics store). Your child can see Grandma on the computer screen, and the grandparents will enjoy being able to see the child’s expressions and how much they have grown. While technology is a wonderful tool to keep in touch, writing letters to each other is a personal way of communicating. Handwritten letters are special and more likely to be saved for years to come. Have your child and their grandparents pick out a journal together and take turns writing their thoughts in it. Encourage them to write stories about their life, share memories of each other and ask each other questions. For long distance grandparents, take turns writing in the journal and mail the book to each other. Books are a great way to connect generations, and many classics are still loved by children today. 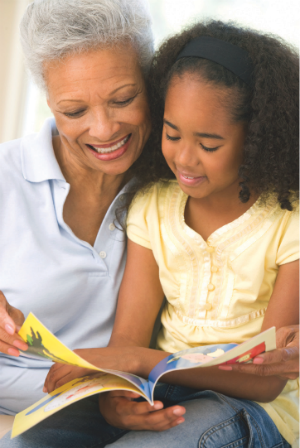 For younger children, encourage the grandparent to read your child one of their favorite picture-books. An option for grandparents who live in another town is to make a digital video recording of them reading a book to your child. They can either send the file to you or put the video on a video sharing website such as YouTube. If they are unfamiliar with the technology, you can set up the tools for them on your next visit. While your child is watching the video, have her follow along with her own copy of the same book. If your child is reading chapter books, have her ask his grandparents to read the same book she is reading. Encourage them to talk about the book after they have both finished. Start a hobby or project together. Another way for grandparents and grandchildren to connect is to share a hobby or activity. Encourage grandparents to take interest in your child’s hobbies and have the child teach the grandparent things that interest her. If the grandparent has a hobby, such as fishing or sewing, have them introduce your child to the hobby. This is a great way to pass family traditions and memories to the next generation. Simple project ideas can be starting a garden together or a building a birdhouse. For grandparents living far away, pick a project they can do during a visit and then talk about while they are apart. As your child begins to develop a close bond with his grandparents, be sure to step back and let the relationship flourish. 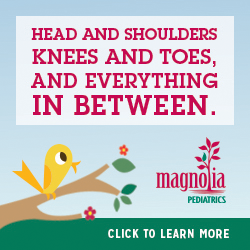 As they become closer, you will probably notice your child and his grandparents start to come up with their own ideas for activities to share together.